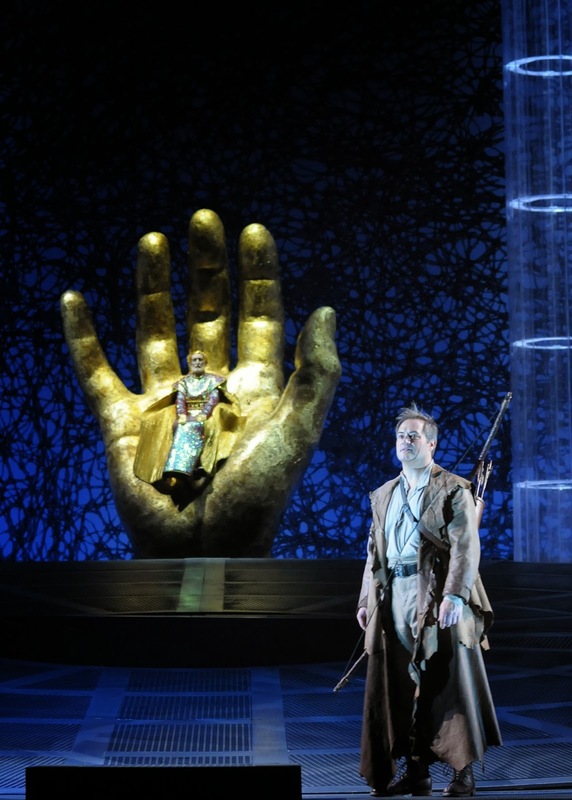 pArts: Lyric Opera's opening night broadcast of Parsifal. 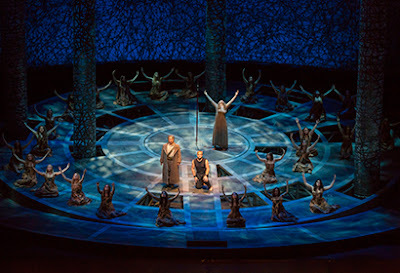 Lyric Opera's opening night broadcast of Parsifal. I sincerely hope others were able to tune this past Friday night for Lyric's premiere of their new "Parsifal" by Richard Wagner. 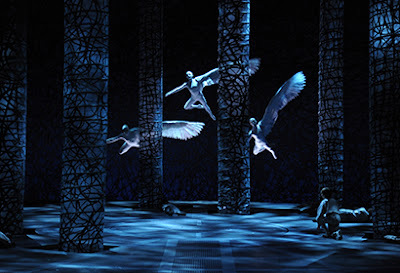 There was some thoroughly beautiful singing in what sounds like (at least based upon the descriptions, photos and previews I watched) a tremendous and well thought out production with some magical theatrical effects. For the naysayers, Paul Groves was (as I expected) the very model of a lyric Parsifal, almost consistently lovely with a fine and thoroughly moving interpretation of the role. There were many well thought out touches and nuances to his singing all night long. Though I only got to hear the radio broadcast, I have heard from a number of friends in attendance last night that Groves was heard just fine in that big house. Daveda Karanas was a fine, feminine sounding Kundry, sounding more like a young woman than world weary curse victim usually portrayed in the first act. Unfortunately, in the upper reaches of the role in Act 2's great duet, she revealed about as short a top a singer can have and still be labelled a "mezzo." The sounds there were unpleasant, white-sounding shrieks, best quickly hit and forgotten. Kwangchul Yung once again proved himself to be a Gurnemanz of the highest order, easily in the company of any singer of this role I've heard before him or currently singing it today (and I'm predisposed towards thinking several older singers "own" this role. It was simply gorgeous singing, full of emotion and gorgeous tone. Bravo! Thomas Hampson was not having his best night, but still as he can usually be relied upon, delivered a touching portrayal of the tortured Amfortas. Sir Andrew had the orchestra in mostly fine form (some expected brass glitches, etc.) and while no one complained, I did feel he could have used a bit more sweep and less grandeur at times to move things along (most notably during the 2nd transformation scene music). The chorus sounded lovely, particularly so during the opening of the first Grail scene and the operas hushed, closing, mystical moments. If I could get to Chicago any time soon, I'd be so there!